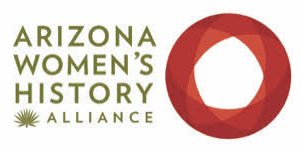 Every two years, the Arizona Women’s History Alliance (AWHA) sponsors a day-long Arizona Women’s History Symposium that is directed toward those outside of academia who are interested in learning about the contributions of Arizona women from all walks of life and representing our rich and diversified cultural, social, economic and political history. Each of our Symposiums content includes the process of historical inquiry, conducting research on Arizona women, providing historical context and answering the “so what” questions. The goal is to stimulate the audience to participate in conversations about the contributions of Arizona women from all walks of life to our state’s history. Audience participation is critical to the symposium. The 2018 Arizona Women’s History Alliance Symposium, “Arizona Women Advocating for Change,” will be held on October 12, 2018 from 8:30 a.m. to 4:30 p.m. at the Arizona Heritage Center, 1300 North College in Tempe. The symposium is free and lunch is provided by a grant from the Arizona Archives Alliance. This Symposium has a two-fold objective: first to explore the history of Arizona women advocating for change; second to educate a public audience about how to research and write well the history of Arizona women. Molly Murphy MacGregor, Executive Director and Chair of the National Women’s History Project, will introduce the topic of women advocating for change. Various panels made up of writers of history including academics, public historians and successful writers with a history avocation will discuss particular aspects of “Arizona Women Advocating for Change” and engage the audience in lively discussions. Themes include early efforts at advocacy, including the ways women advocated for change before Arizona’s successful 1912 legislation giving women the vote, how advocacy has changed over time and the relevance of advocacy today. In the process of exploring experiences of women from all walks of life speakers will share their own experiences researching and writing about women. AWHA invites anyone with an interest in history including the general public, students, teachers, historians, scholars and researchers to learn more about women’s advocacy in the past and present. The AWHA presented its first Arizona Women’s Symposium, “Arizona Women: Hiding in Plain Sight” in 2014.